Smelting and Reforge: Recycle Materials and Boost Your Equipment! Are you looking for ways to make full use of your materials and increase your battle rating? 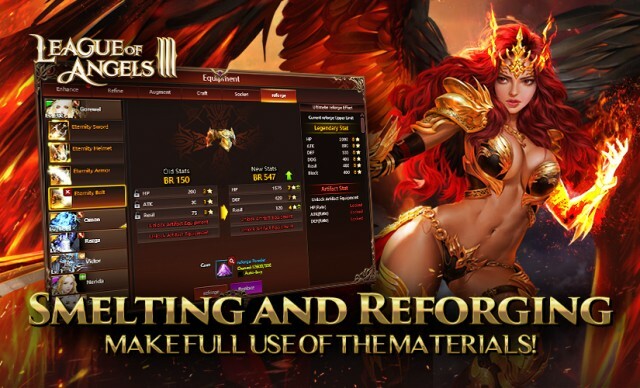 In Update 3.8.0, League of Angels III is introducing Smelting and Reforge, new features that will allow player to recycle the excessive materials and reforge to add stats to their equipment of legendary and above quality! Read on to find more details. Smelting: Make Full Use of Your Extra Materials! Entrance: Open Smelting in Transfer. 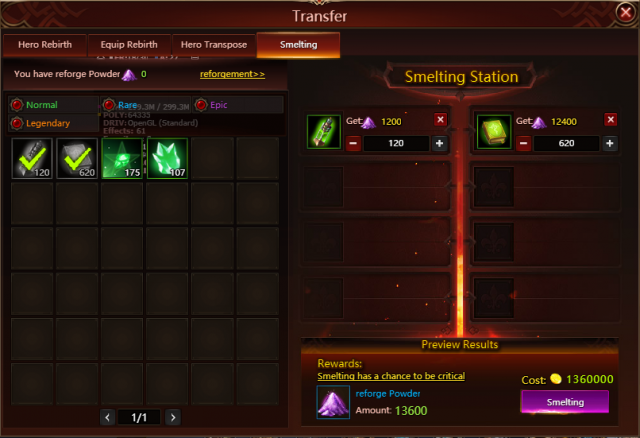 All players who are level 100 and above can get access to Smelting through “Transfer”. Simply select the extra materials and spend Gold, you’ll be able to recycle the materials and obtain a special item “Reforge Powder”. Each smelting has a chance to be critical, and you can get as high as 5 times of the Reforge Powder. Entrance: Open “Reforge” in “Equipment”. 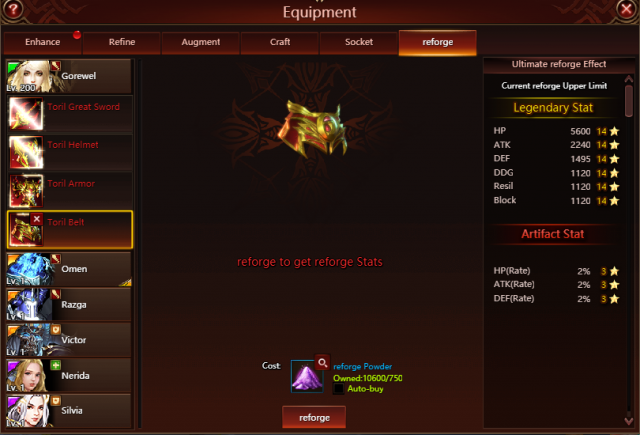 Reforge is designed to add more stats to your equipment and greatly increase battle rating! 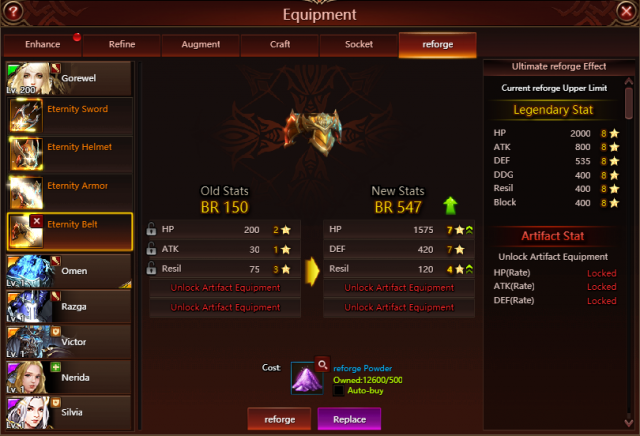 Equipment with Legendary or above quality can be reforged to get stats including HP, ATK, DEF, DOG, RESIL and BLOCK. The Mythic Equipment will have a chance to get three more stats, i.e., HP Rate, ATK Rate and DEF Rate. The Reforge Powder that you obtain through Smelting is the essential material to reforge. The higher the stars, the better the stats. Players can decide whether to keep the stats or continue reforging if they are not satisfied with the new stats. Please note that Equipment Rebirth will not return any Reforge Powder used. Choose wisely! Smelting and Reforge will be available after the update on November 6th. Final update will be determined in game. Play League of Angels III now and stay tuned for more great content to come to this free-to-play MMORPG this November!